>>Anyway, as readers can see, there is a huge disconnect between the astronomical dates derived for Giza. We appear to have the Giza plateau being designed in 10,500 BC, but some of the pyramids not being built for another 8,000 years. Clearly something is wrong with the theory here, and that something is the star-shaft pointing theory, which is wrong with a capital 'W'. Or should that be: wrong with a capital 'B'? And we know this bold assertion is true, because the small shafts inside the Great Pyramid have a completely different function. They were not designed to point at stars. Sure they were. 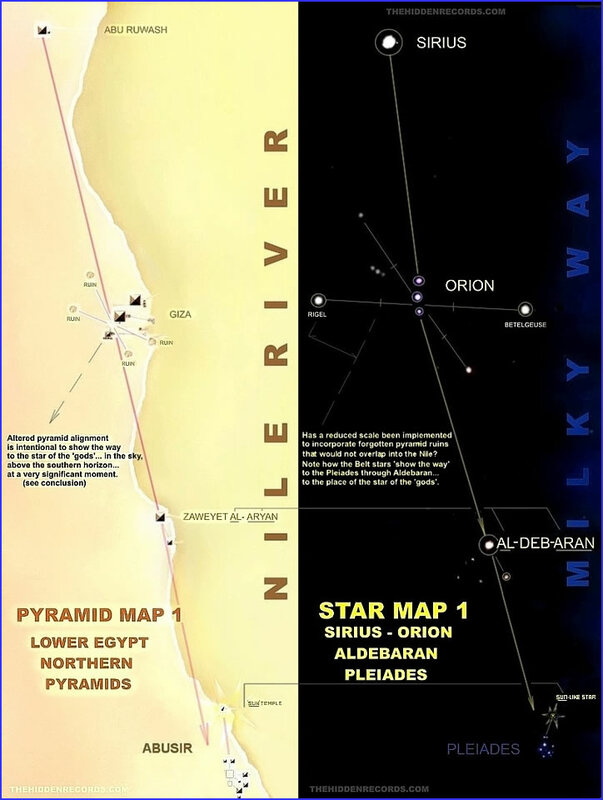 ...the entire Egyptian pyramid map is a 3d mirror of the Heavens. Edited 1 time(s). Last edit at 21-Dec-16 17:50 by Thunderbird.